"I can't thank you enough Shopodex"
I can't thank you enough Shopodex for working on our website. You have been very attentive with me and have made a great website were I can give my customers more of what they need. I would recommend Shopodex for any businesses that is looking for a web design company. They have great employees and service. Thanks again! Sleek new legal website for Los Angeles family law firm. Clean design, easy navigation and an attention to lead capture separate this legal website from the others out there. "By partnering with Framework and utilizing the Shopodex platform it has Catapulted our E-commerce sales and web presence to a next level"
Shopodex Enterprise deployed directly onto Insight Investments' cloud servers with seamless integration between Shopodex's shopping cart and MS Dynamics 365 CRM. 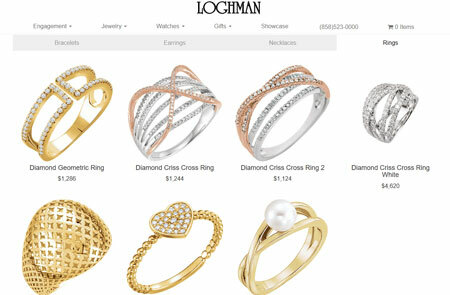 Take a look at 2NDGEAR's great lineup of e-commerce deals for computer equipment and IT services..
Shopodex rolls out mobile-friendly website for Loghman Jewelry of Del Mar, CA, featuring luxury jewelry items such as engagement rings and wedding bands, plus high-end watches and gift items. Sleek new responsive website released for garage door supplier Elegant Garage Door of Rancho Cucamonga. In addition to the great new site, Elegant are actively using the cloud CRM module to manage leads and run email campaigns to build up their dealer network. 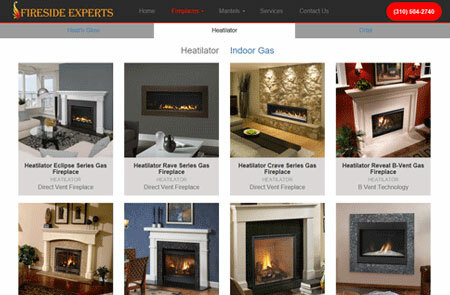 "Shopodex assists us with administering our e-commerce website"
Easy website administration and a built-in CRM are key for us to market our fireplace products across Southern California. Shopodex consultants help us to administer our e-commerce website, updating content and imagery, so that we can stay focused on managing our operation and talking to our customers. Thank you Shopodex! "Shopodex enabled our movie studio customers to get real-time payroll data." We are the largest movie extra payroll service in Hollywood, paying over 50,000 movie extra's per year. 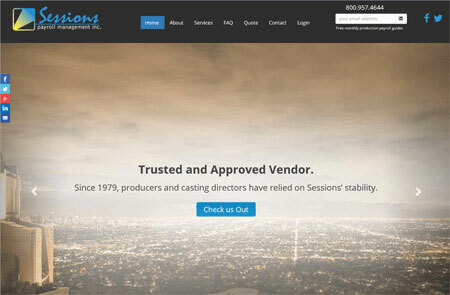 Shopodex created a great new custom website for us and then completely integrated it with our back-end accounting system, Microsoft GP Dynamics, so that our movie studio customers can get real-time access to their payroll data. "We are so happy with our custom designed real estate website." 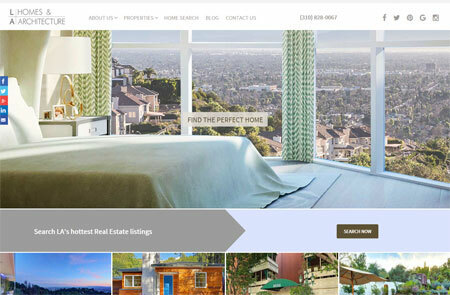 We are so happy with our custom designed real estate website. After dealing with all the template sites out there it was so refreshing to work with the great designers and online marketing professionals at Shopodex. We love the MLS integration and property browsing pages that the site includes. Thanks again Shopodex! "Getting phone calls from our new responsive website is critical for us." 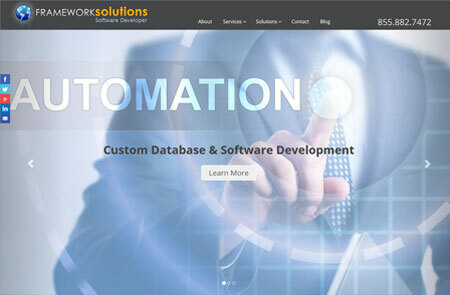 Getting phone calls from our new responsive website and then tracking them with the CRM is critical for us. We needed a custom website that was easy to upload new brands and products to, and then we needed someone to administer it. We've outsourced all of the content administration to Shopodex, as well as all our social media marketing and Adwords campaigning. 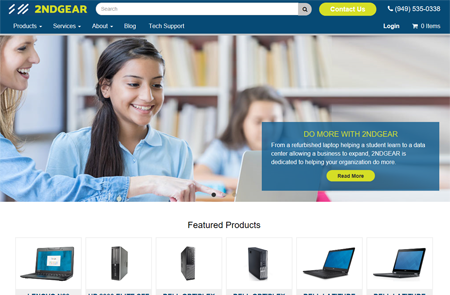 "Shopodex has a full featured cloud based ecommerce website platform." When we started our business importing and distributing ESCEA luxury fireplaces we decided on Shopodex as our ecommerce partner. They have a full featured cloud based ecommerce platform and will design and develop custom websites to run on top of the CMS. They provide lots of expertize with Google Adwords and SEO, and the platform also includes an integrated CRM with a powerful campaigning module. 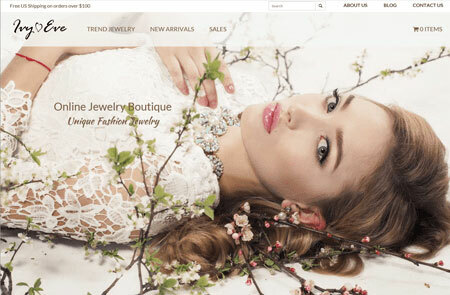 "We use the custom jewelry CMS and CRM to setup our products and run promotions." "Shopodex easily allows us to post search engine optimized content onto our custom pages." E-commerce website for Bula Ball and the bula method back pain exercise program. Key for this site is YouTube integration with promotional and instructional video's being critical to connect with target customers. "Shopodex enables us to acquire new customers with its incredible marketing capability." Shopodex CRM Pro enables us to effectively market our software development services to both existing and to prospective new customers. We are big users of the cloud contact management system (CRM), and regularly run email campaigns to keep all our contacts up to speed with our latest developments.